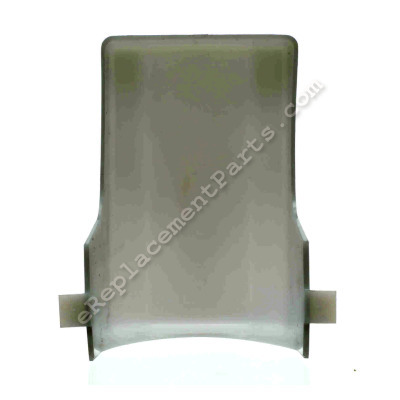 *This part replaces obsolete part #: 991104378 and 99110437. This is a genuine Broan replacement part, sold individually. The light features a plastic bulb cover for durability and a frosted white finish to help accent your bathroom. Light lens can be easily installed with snap in action, no additional tools required. This part is compatible with the range hood models listed below. Replaced the filter and put the lens cover over the light bulb. Easy. Clipped the replacement part over the bulb. My light lens underneath my range hood was falling apart. Took the old one out and snapped the new one in! , Snap on fit - no tools required. Original lens was damaged by long term heating. Removed the old lens. Cleaned the exhaust fan hood of grease and dirt. Installed the new lens. Removed old lens with my hand and installed new one with my hand. Just slide the lens in. Removed broken lens with my hand and put in the new one very easy to do .It was a perfect fit.